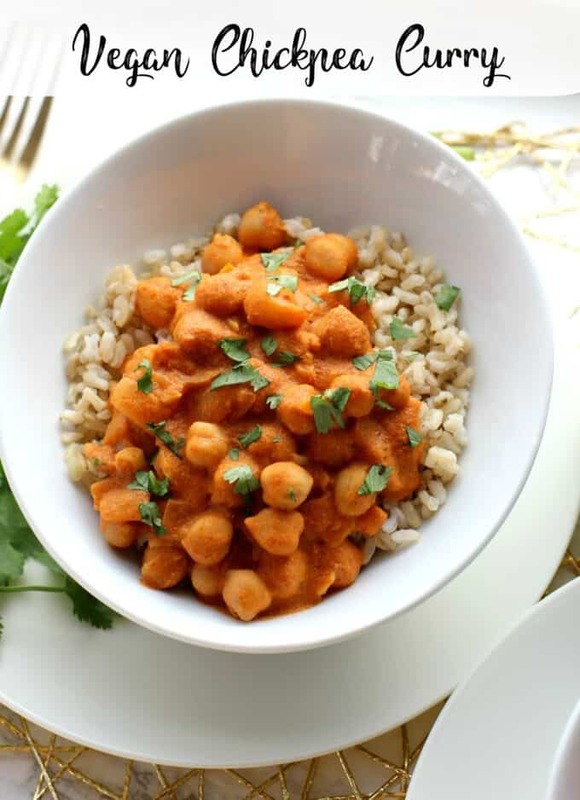 This vegan chickpea curry is the perfect balance of creamy and spicy. 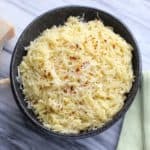 This gluten free meal can be made in just 20 minutes! 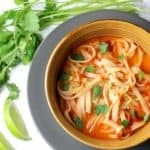 Ever since I made these coconut curry noodles, I’ve had the coconut curry combination on my mind. Since I was out of rice noodles and hunting for an option with a little more protein and fiber, I decided to whip up a chickpea curry. Luckily, I had all the ingredients in my pantry so this came together in only a few minutes. I was surprised at how simple this turned out to be! That said, I heard that you can save a few bucks if you buy regular coconut milk and then dilute it with water (one part coconut milk, two parts water). If anyone has tried this “hack”, let me know! 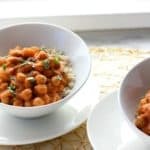 This vegan chickpea curry can be made as spicy as you like. 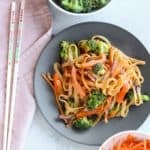 I love adding a little drizzle of sriracha on top, but you can leave it off if you want something with a more mild flavor. You may have noticed, I’ve been trying to focus on more vegan recipes lately. While I’m not ready to hop back onto the vegan train, I think that dairy can often be an unhealthy “shortcut” in vegetarian cooking. Let’s be honest, pretty much anything tastes good if you add enough cheese to it. Since I’m pretty sure no one needs help in finding new ways to eat cheese, I’m attempting to focus on more vegan-friendly meals. If you ever have any recipe requests, let me know in the comments! This sounds like a really hearty curry, but simple to make too! Love that! I would happily swap lite coconut milk if it meant another piece of naan! 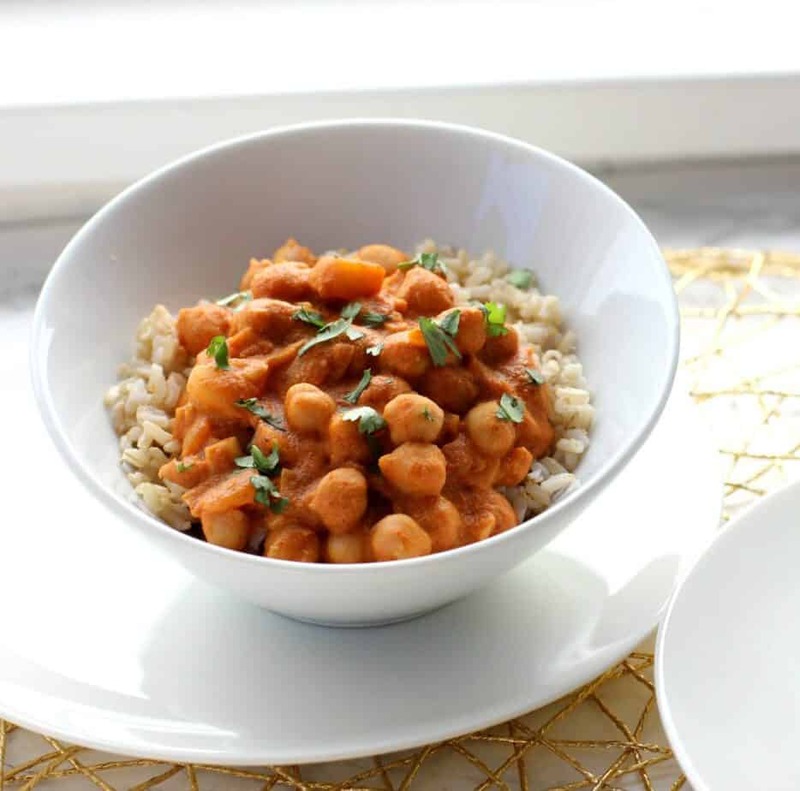 Looove a good curry recipe and love that this one is vegan! My favorite brand of curry paste is Maesri — I highly recommend trying that one next time! I’ll definitely keep an eye out for that brand! Ah! 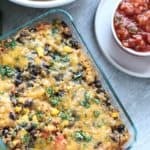 What an amazing vegan recipe. I am always on the look of new protein rich vegan recipes. 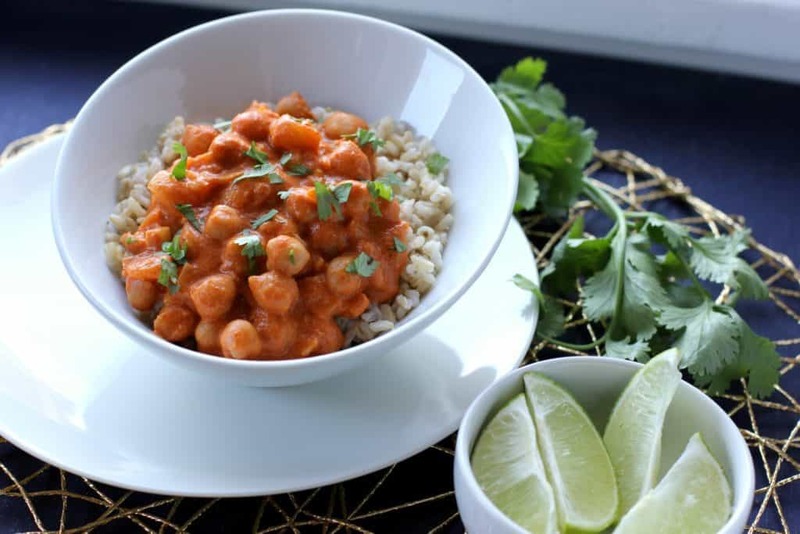 I could eat chickpea curry every other week…YUM! Yours looks easy and delicious, as it should 🙂 Pinning and sharing this one for sure! yummy! i love chickpeas curry and we call it chole masala in India..
That makes me so happy, Heidi!! I’m glad you all enjoyed it! !